Food/kitchen moth control is best achieved by removing infested produce and treating the interior walls of kitchen cabinets and any other areas where moths and/or larvae have been noticed with a residual insecticide such as Pest Expert Formula 'C' Food Moth Killer Spray. 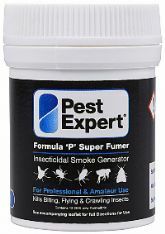 Formula 'P' Foggers should also be activated to fumigate the room and kill any adult moths present. Rentokil Insectrol Spray can be used to blast hard-to-reach areas where an aerosol will penetrate better than a surface spray. As a follow-up to moth treatment and to maintain moth control, hanging Demi-Diamond Food Moth Pheromone Traps will enable you to monitor activity. Highly recommended are our Food Moth Killer Kits, which contain a number of food moth control products along with an advice sheet giving step-by-step instructions on how to carry out a professional kitchen moth treatment. To see a full range of our food moth products, please click here. Do not apply liquid insecticides directly to any electrical items or power source, being sure to avoid plug sockets, cables etc. Do not apply insecticidal spray to any food preparation surfaces or food storage areas where food would be in direct contact with treated surfaces. 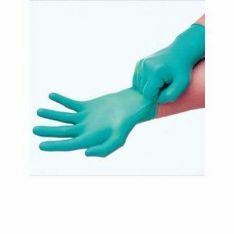 A safety mask and protective gloves should ideally be worn at all times when handling any pesticides. In addition to the advice given below, please be sure to follow instructions on product packaging. 1. Any unprotected persons or pets (including fish) should be removed from rooms where treatment is about to take place and kept out until surfaces become dry. 2. Clear out kitchen cupboards, inspecting stored food products for evidence of food moth infestation and dispose of any affected products. Look for ‘webbing’ on surfaces of food bags and packaging and for larvae that may be crawling on surfaces. 3. 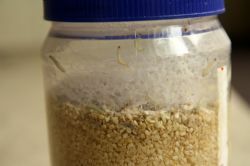 In larger commercial premises, also inspect in and under machinery/equipment, between floorboards, cupboards, behind sacks and other food containers and in all dark places which may be harbouring moths and their larvae. 4. Once cupboards are empty, spray inside with Formula 'C', applying lightly to all internal panels. Where appropriate, Formula 'C' can be applied to most alighting surfaces, including walls, ceilings and window frames. Not only will this kill moths on contact, but it will also continue to leave a long-lasting residual which remains effective for a period of up to 4 weeks. Therefore, for maximum effect, cleaning of treated surfaces should ideally be avoided for a short time. After cleaning it may be necessary to re-apply. 5. Use Insectrol Spray to treat hard-to-reach areas where a powerful fine-mist aerosol would have greater penetration than the trigger spray . Suitable areas for use include under kitchen plinths and between kitchen units/appliances. (Exercising caution around electrical cables and power points). 6. Ensuring all foodstuffs are moved or covered, and having read the full instructions on the canister label (peel back for full instructions), activate the Formula 'P' Fogger(s) as directed. 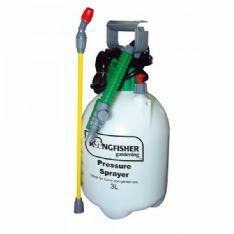 Close the room and allow 2-3 hours for the gas to disperse and for surfaces to dry. If possible, ventilate the room by way of an open window to eliminate any related fumes, and help speed up the drying process. 7. Please ensure that all surfaces within the cupboard are completely dry before restocking with food items. (NB: Only packeted, sealed or tinned foods can be stored in cupboards that have been treated with insecticide). 8. To monitor activity after treatment install the moth trap(s) in the affected room(s). Fold the moth trap(s) into a toblerone shape and insert a pheremone pad into the trap, sticky side facing out. Replace the pad every 4-6 weeks. 9. When products are finished with, please dispose of safely and in accordance with advice on packaging. 10. Depending upon the degree of infestation, a second treatment may be necessary. The information supplied is provided as a guide only. While every effort is made to assist customers, mothkiller.co.uk will not accept any responsiblity for any loss resulting from the application of products supplied by ourselves, or any guidance given. A top quality safety mask, which meets the EN149 European respiratory standards. 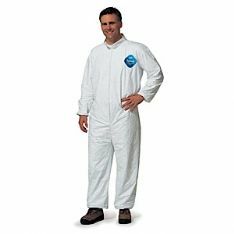 Offers excellent protection when treating areas with insecticidal sprays and powders.